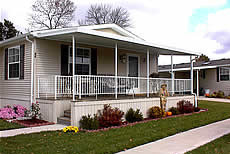 Also – Aluminum Railings and Columns! 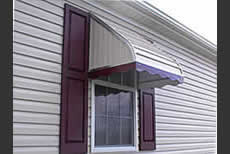 At Buckeye Home Services in Dayton, Ohio, we offer high-quality awnings in different colors and designs. 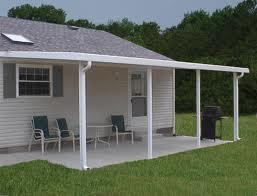 An economical way to shade your deck or patio, awnings add both value and enjoyment to your home. 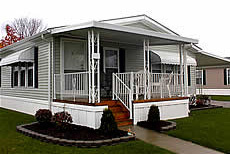 They also provide long-lasting protection for doors, windows, porches, decks and patios. 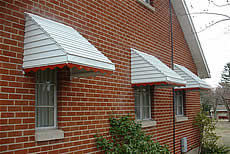 We have flat pan, w-pan, scalloped and insulted awnings for both commercial and residential installation. 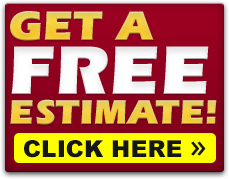 Engineered for maximum strength and beauty, an attached or free-standing carport will protect your car, van or boat from the elements. 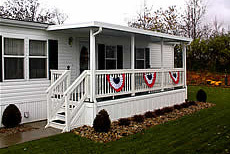 In addition, you can add a covered space to your property for picnics, play and family gatherings. These models are designed and engineered for maximum strength using all aluminum components. Rigid roll-formed outer frame and a complete gutter system ensure that they are strong and self-sustaining. 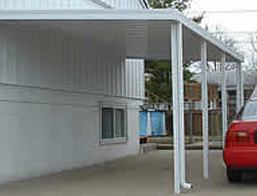 With a permanent baked-on enamel finish and color-matched 2″ x 3″ downspouts and elbows, our carports also feature heavy-duty support columns for free-standing installation. Special angle beams are used for increased rigidity. * Constructed of all aluminum components. * Standard, Roll Form, available in white or tan. * Step-down style available in a wide variety of colors. 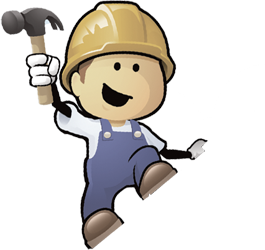 * Standard with all necessary installation hardware. 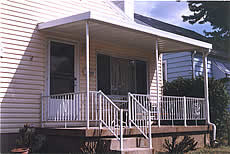 * All aluminum support columns available in white, brown, black or tan. * Scallop also available in a wide variety of colors. Sun Haven Step Down. Shown with optional scallops. 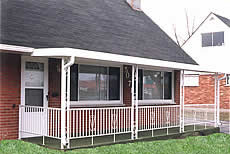 Deco- Rail aluminum railings and columns are designed to enhance the beauty and safety of your home. 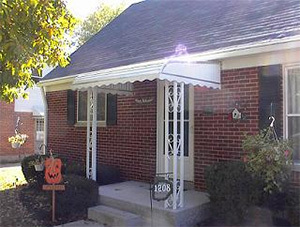 We provide a wide selection of columns to add beauty and strength to any application. 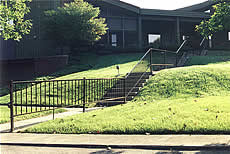 Railing sections are factory preassembled for easy installation.